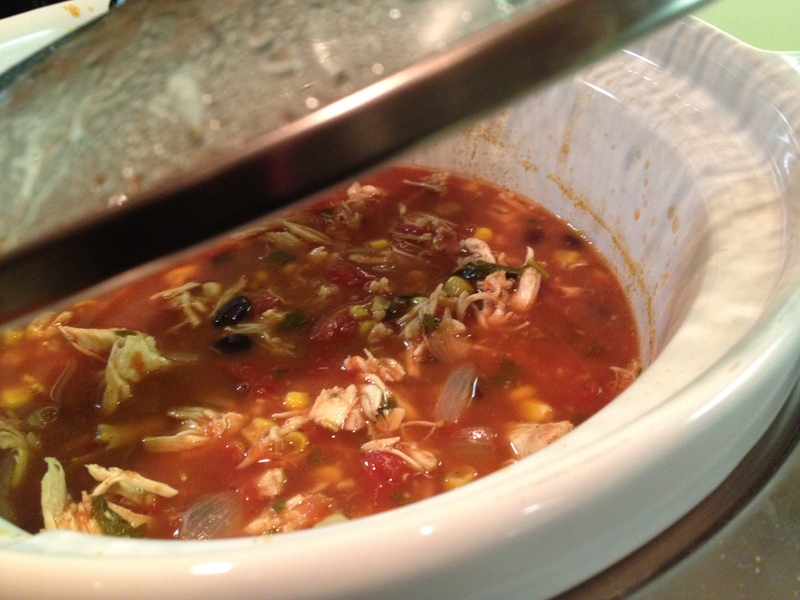 After making the Enchilada Soup the other day I wanted to use my new pretty slow cooker again so I turned to Cook’s Illustrated. 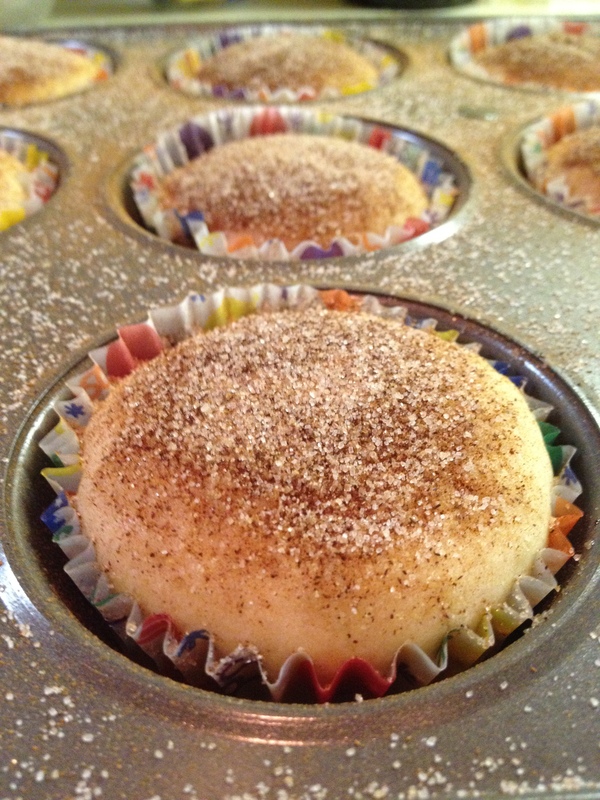 I have a subscription to their online site and this recipe is from them. 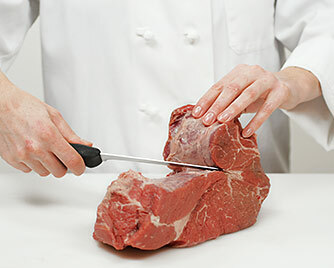 There’s also a VERY useful tutorial about how to cut a large piece of meat into small ones. Since I bought a 5lb chuck roast for this it was useful to read before I started in on the cutting. I’ll paste that at the end of the recipe. This stew was good. Tasty, heart, meaty. Since it was the first time I made it I followed the instructions. Next time I’ll put less potatoes and more carrots and peas and perahps some other veggies. I served it over egg noodles. Dry the beef thoroughly with paper towels, then season generously with salt and pepper. Heat 2 teaspoons of the oil in a 12-inch skillet over medium-high heat until just smoking. 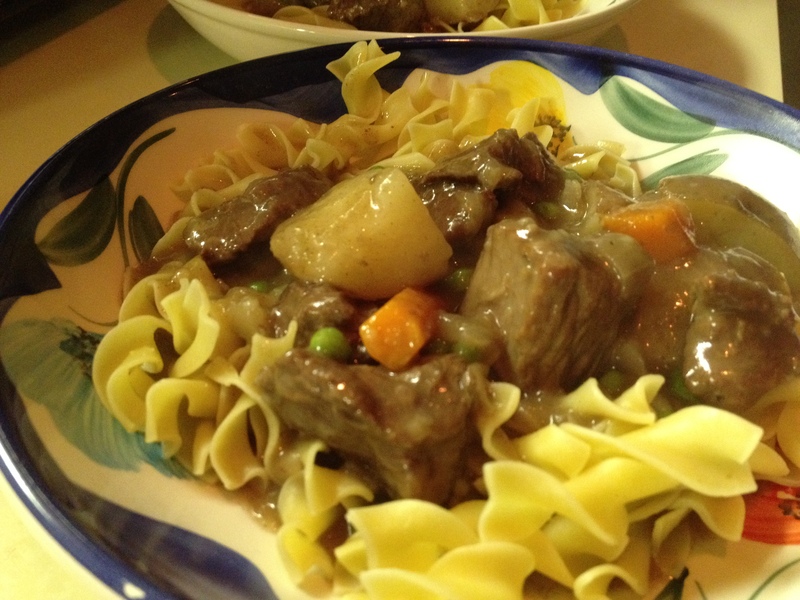 Distribute half of the beef in the skillet and cook, without stirring, until well browned on one side, about 4 minutes. Stir the meat and continue to cook, stirring occasionally, until completely browned, 4 to 6 minutes longer. Transfer it to a slow cooker. Return the skillet to medium-high heat and heat 2 more teaspoons oil until just smoking. Brown the remaining beef and transfer it to the slow cooker. Return the skillet to medium heat and heat the remaining 2 teaspoons oil until shimmering. Add the onions and ¼ teaspoon salt; cook, stirring occasionally, until the onions are softened and lightly browned, about 5 minutes. Add the garlic and cook until fragrant, about 30 seconds. Add the red wine; turn the heat to high and bring to a boil, scraping the browned bits off the skillet bottom. Pour into the slow cooker. 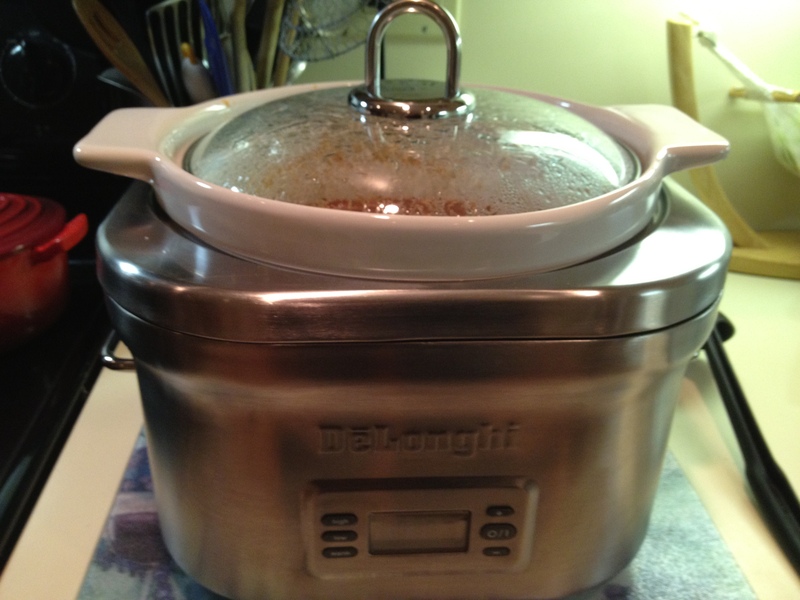 Stir the chicken broth, 1½ cups of the beef broth, thyme, and bay leaves into the slow cooker. Following the illustrations below, nestle the potatoes and carrots around the edges of the slow cooker. Cover and cook, on either low or high, until the meat is tender, 9 to 10 hours on low or 6 to 7 hours on high. To keep the potatoes from falling apart during the long cooking time, put them into the slow cooker whole and nestle them around the edges of the cooker, where the heating coils reside. This recipe takes 9 to 10 hours on the slow cooker’s low setting or 6 to 7 hours on its high setting. 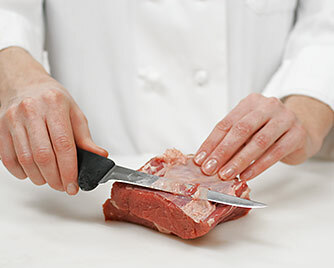 For stew meat pieces that are cut from the right part of the animal and regularly shaped, we suggest buying a boneless roast and cutting the meat yourself. A 3-pound roast will yield about 2 1/2 pounds of beef, perfect for searing in two batches. 1. Pull apart the roast at its major seams (delineated by lines of fat and silver skin). Use a knife as necessary. 2. With a knife, trim off excess fat and silver skin. 3. 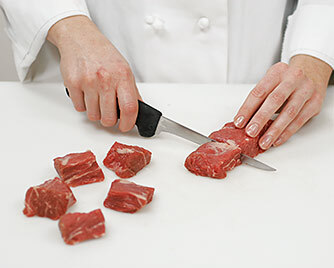 Cut the meat into cubes or chunks as directed in specific recipes. In recipes where the meat is only in the slow cooker for 4 to 5 hours, it is important to arrange the vegetables around the edges of the slow cooker, nearer the heating elements, so that they will cook evenly. Also, this technique is useful in recipes where potatoes are added whole to the stew. If you’re thinking ‘what the……?’ when you read the name of this dish you’re not alone. I thought the same thing when I first read it. 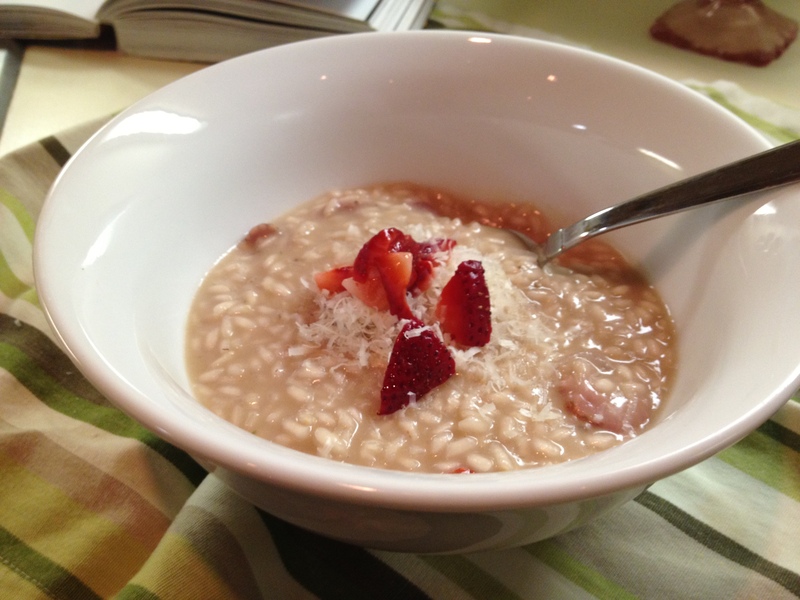 Who puts strawberries in risotto? But you know what-it’s GOOD!! If today is the first time you’re hearing about this then today is your lucky day!!! 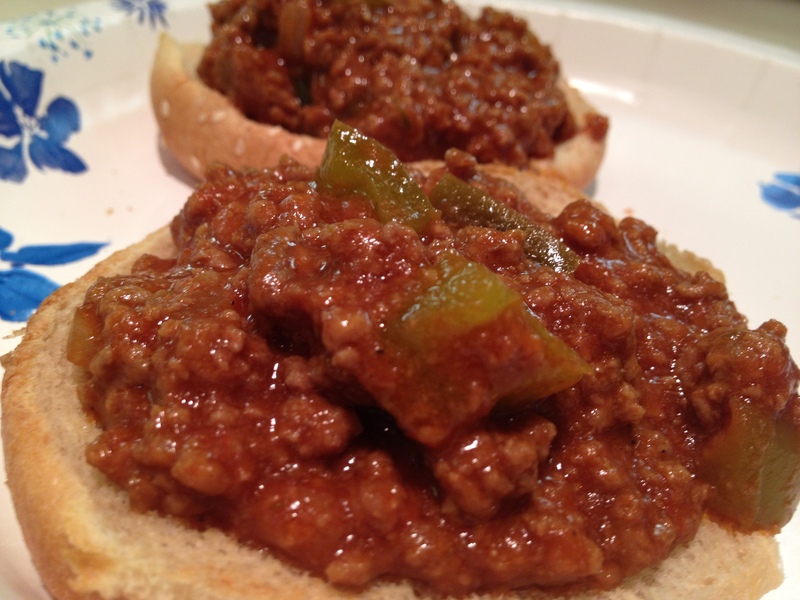 The original recipe for this came from one of my favorite cookbooks Twelve. 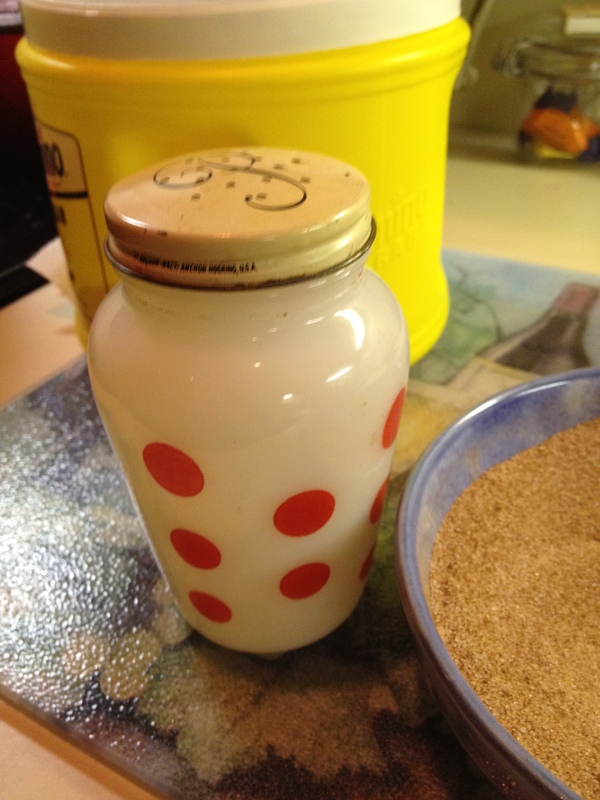 I kept seeing this recipe and I got curiouser and curiouser (yes-like Alice) about it. So I finally made it a few months ago and could’ve kicked myself for waiting so long. So I made it again last night. How delicious. How unique. It’s a touch onion-y from the shallots cooked in butter, a bit nutty from the parmesan, a bit tart and sweet from the strawberries and the brandy adds an underlying flavor that compliments it all and it’s creamy and yummy. I’ve adapted it a bit from the original recipe so here we go…..
Heat the stock in a large saucepan and keep it on a gentle simmer. Heat half of the butter in a heavy-bottomed sauce pan, saute the shallot on low heat until it has softened and then add half of the strawberries. Cook gently for a couple of minutes and then add the brandy. When it has evaporated add the rice and stir with a wooden spoon to coat all the rice. Season with salt and pepper and add a ladleful of stock, stirring almost continuously to prevent the rice from sticking. When the rice has absorbed almost all of the liquid add another ladleful and continue stirring. Make sure you move all of the rice at the bottom of the pan. Continue stirring and adding stock for about 20-25 minutes or until the rice is soft yet firm and the texture is creamy and slightly liquid. Add the remaining strawberries, the butter and the parmesan cheese and stir. Ladle into a bowl, top with extra parmesan and a few of the strawberries you set aside for the garnish. Helpful hints: don’t make this when you will have to stop stirring to attend to something else. 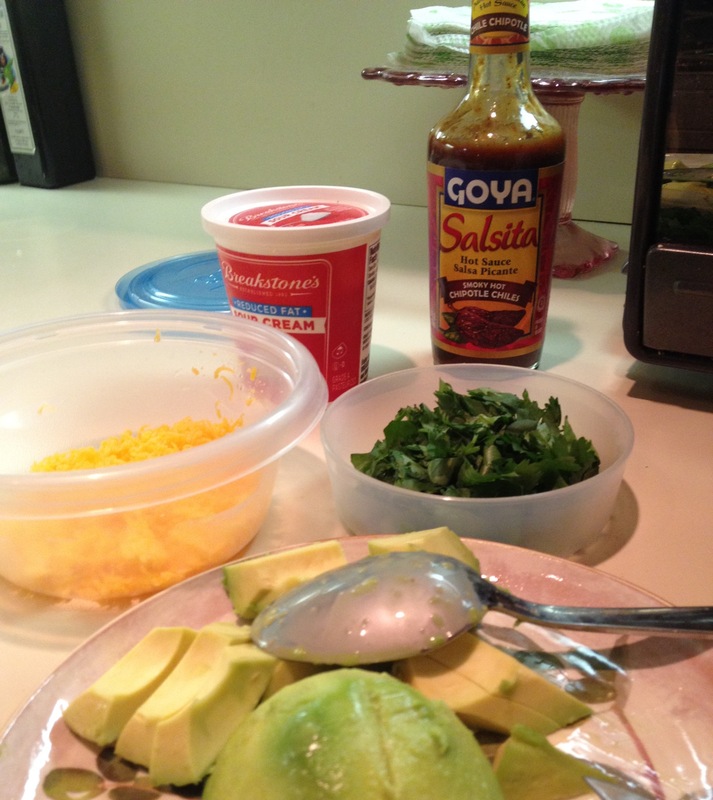 Give yourself a full 30 minutes to make this from start to finish. Don’t worry if you have one more or less strawberry, it will still turn out fantastic. It’s pretty simple really. Just ladle and stir ladle and stir. Fear not the risotto!!! This recipe was included in a great list of fresh strawberry recipies. See the list from What’s Cookin’ Chicago here.